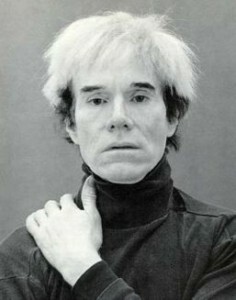 Andy Warhol was an American artist who was a leading figure in the visual art movement known as pop art. His works explore the relationship between artistic expression, celebrity culture, and advertisement that flourished by the 1960s. Warhol’s art used many types of media, including hand drawing, painting, printmaking, photography, silk screening, sculpture, film, and music. He was also a pioneer in computer-generated art. Warhol was also a prolific filmmaker and the author of multiple books featuring his artwork.